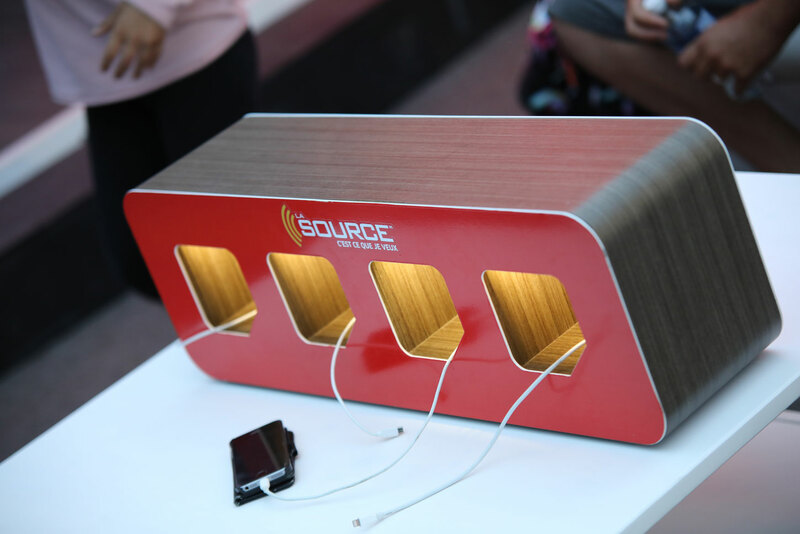 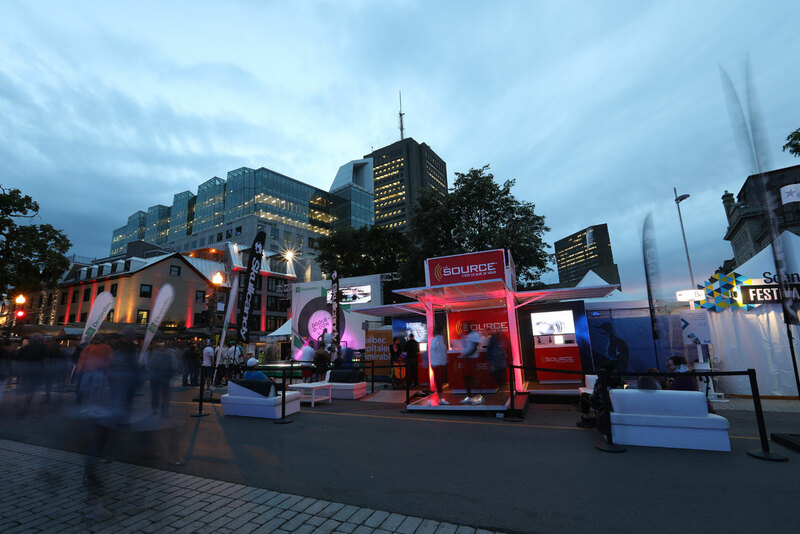 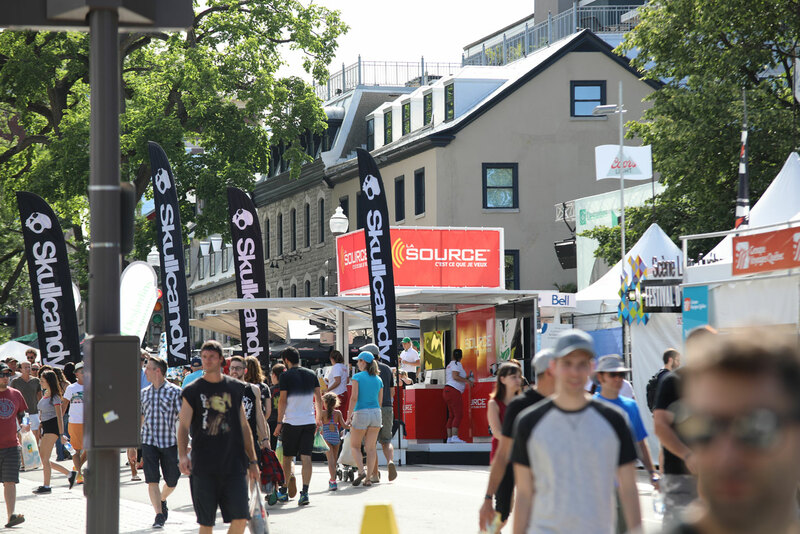 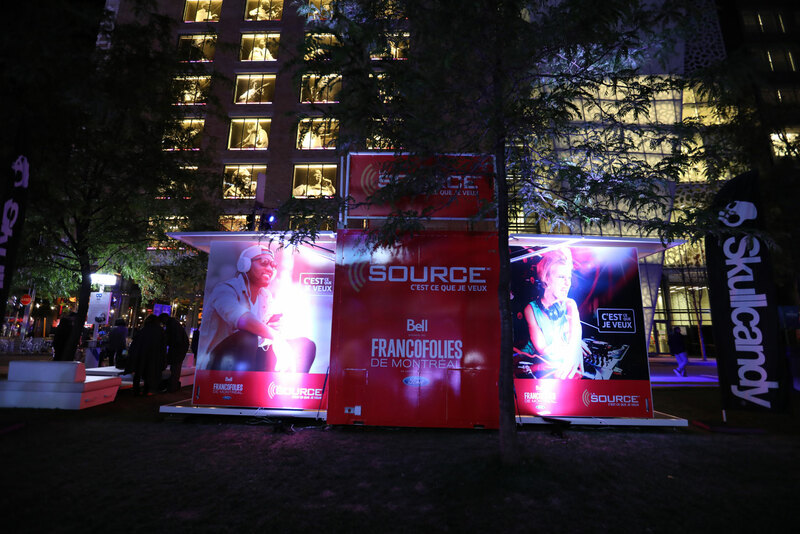 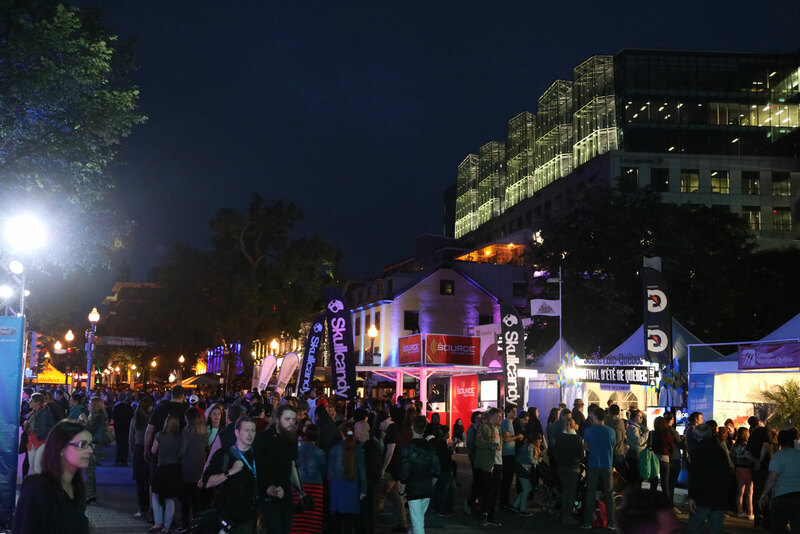 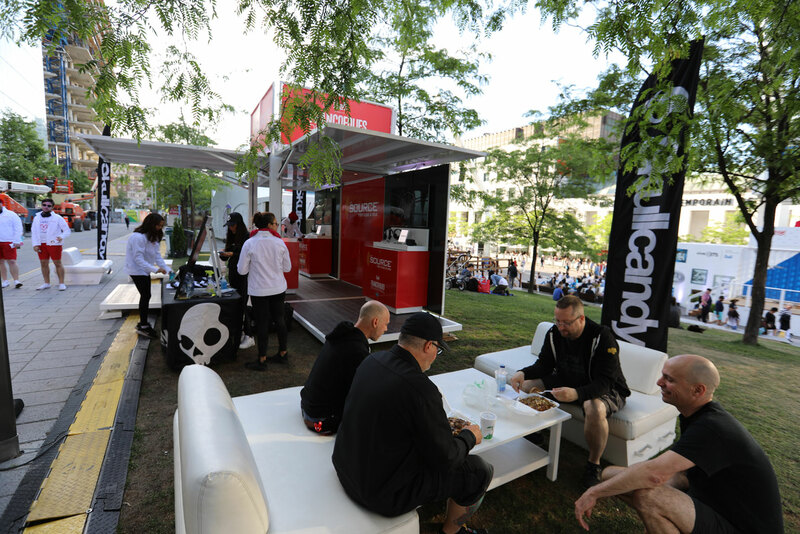 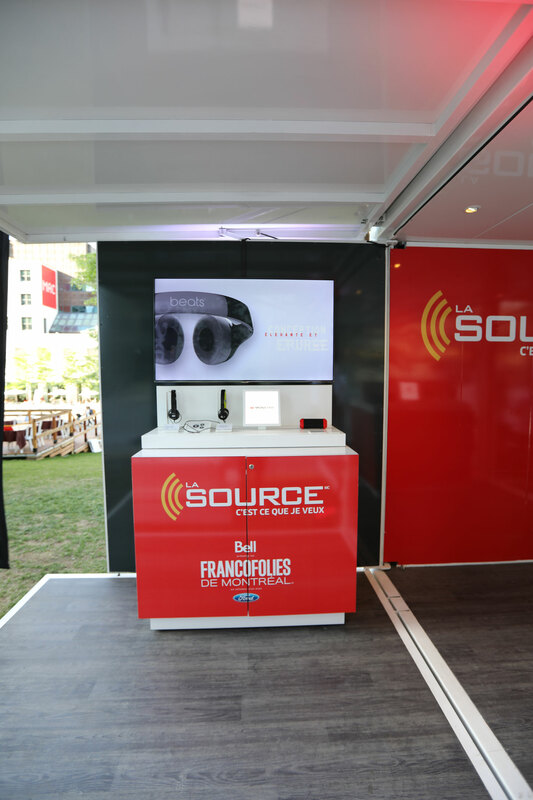 La Source deployed its custom LB8 pop-up store to promote its products including the famous Skullcandy headphones at the 2017 Francofolies festival and the Festival d’été de Québec. 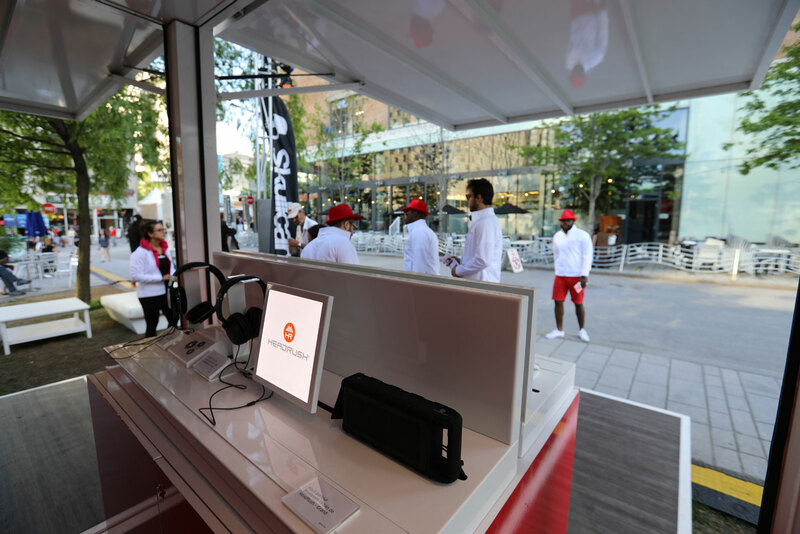 Easy to relocate and set up, the unit features an exterior lounge where people could chill for a bit and make use of convenient charging stations while getting priceless exposure to the retailer’s market-leading headphone product. 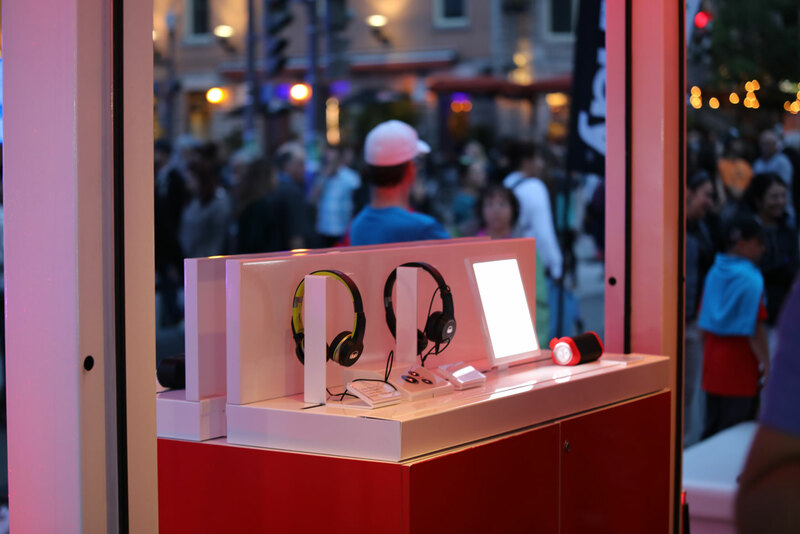 Skullcandy ran games from the box where participants could earn promotional gifts. 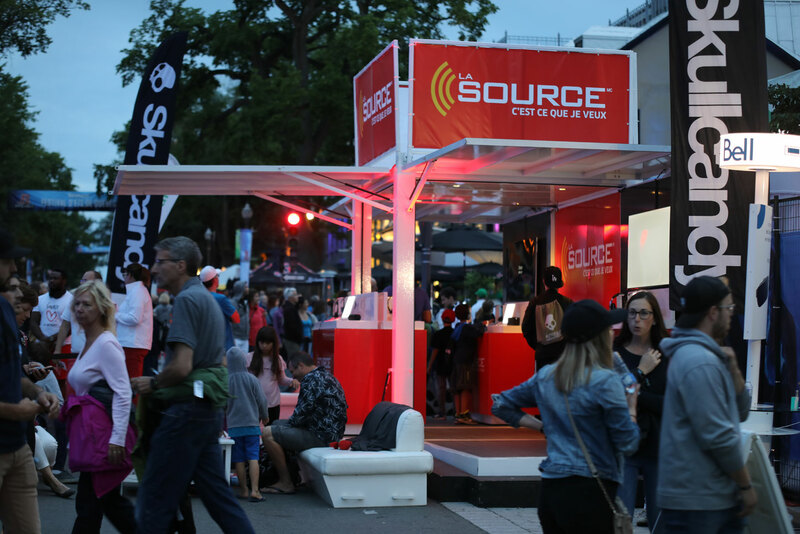 La Source is committed to supporting multiple festivals each season, and its Loki unit is easily re-signed for each specific event.